Storm Season is approaching are you ready? Storm Season is right around the corner. Are you ready? As the weather warms up and chilly nights turn into warm sunny days, evening storms can cause damage to your property. Your roof will be the first line of defense your home has against these summer storms. Often times in Lexington, Columbia, and the surrounding areas these storms will be accompanied by heavy wind and Hail. Over the next 6 weeks these summer storms will be likely, if not a sure thing. If you have damage to your roof, you may not notice until you have a leak causing interior damage. I am going to give you some tips on how to recognize damage to your roof and some things you can do to catch the problem before it causes damage to the interior of your home. What to look for after a storm. When a summer storm moves through your area knowing what to look for in the aftermath is critical to your roof maintenance. 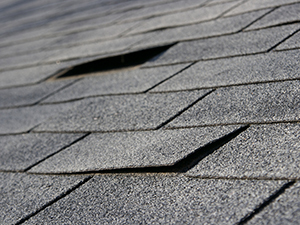 First thing to look for is shingle pieces in your yard as even one can mean you have significant damage to your roof. Another indicator that you may need to have your roof inspected by a professional is tree branches in the yard or laying on the roof. We see branches as small as a pencil pierce shingles and cause leaks. Hail damage can be one of the most difficult types of roof damage to identify. Look for dings and dents in your metal mailbox, holes in cloth umbrellas, and similar damage to stucco and cars. If you see signs of hail call a trusted local roofer for a professional roof inspection. Have a relationship with someone in your area as you may need a quick roof repair to prevent leaking. Lexington and Columbia roofers can become very busy during this time of year and having a working relationship with a local roofing contractor can expedite your roof repair or roof installation. How can you be better prepared for storm season? There are a few simple steps that can help you be better prepared for a storm. Talk with your insurance agent! Make sure you have coverage, Make sure your agent in willing to work with you through the process. Late spring and summer storms are a part of living in the Midlands of SC. Being ready and aware when on strikes can save you time and money. Have a plan. 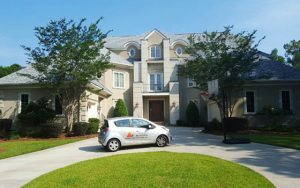 Most quality roofing contractors will have a maintenance program that will normally give you precedence over folks with no working relationship and normally it is very inexpensive. Know your insurance agent. This is one of the issues we find most often is that people do not have a relationship with their insurance agent. Be aware of the signs of damage. You never want to file an insurance claim if you don’t have damage!